THIS IS A LEGALLY BINDING AGREEMENT BETWEEN YOU AND FORD. SECTION 15 (ARBITRATION AGREEMENT) INCLUDES AN ARBITRATION AGREEMENT, WHICH MEANS THAT YOU AND FORD AGREE TO SUBMIT ANY DISPUTE TO BINDING ARBITRATION RATHER THAN PROCEEDING IN COURT, WITH THE EXCEPTION OF CERTAIN SPECIFIED INTELLECTUAL PROPERTY CLAIMS AND SMALL CLAIMS NOTED BELOW. UNLESS YOU OPT OUT OF THE ARBITRATION AGREEMENT, YOU WILL BE PERMITTED TO PURSUE CLAIMS OR SEEK RELIEF AGAINST FORD ONLY ON AN INDIVIDUAL BASIS, NOT AS A PLAINTIFF OR CLASS MEMBER IN ANY CLASS OR REPRESENTATIVE ACTION OR PROCEEDING. PLEASE READ THIS AGREEMENT CAREFULLY. BY THROUGH YOUR USE OF QUICK LANE, YOU EXPRESSLY ACKNOWLEDGE THAT YOU HAVE READ, UNDERSTAND, AND AGREE TO ALL OF THE TERMS SET FORTH HEREIN, INCLUDING THE ARBITRATION AND CLASS ACTION WAIVER IN SECTION 15 (ARBITRATION AGREEMENT). 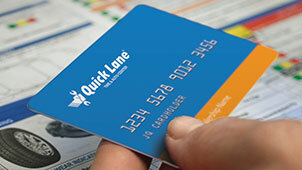 Ford administers quicklane.com from Michigan and m.quicklane.com from New Jersey, United States of America and this Site is only intended for viewing in the United States. All materials and information contained on this Site apply to the United States market only. Ford makes no representation that the Site is appropriate or available for use outside the United States. If you choose to access the Site from outside the United States, you do so at your own initiative and are responsible for compliance with applicable laws. All pricing is in U.S. dollars and the services described are offered for sale in the U.S. only. Ford makes reasonable efforts to ensure that the pricing and product information contained on this Site is correct. Prices, product specifications and all other information shown on this Site are for information purposes only, are subject to change at any time without obligation, may vary from region to region, and may not be completely up to date or accurate. Individual Quick Lanes set the actual transaction price. 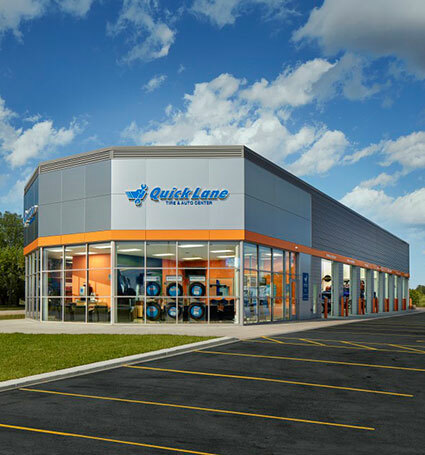 Contact your selected Quick Lane for the actual price of any service and any applicable terms and conditions that may apply. The promotional programs and/or incentives offered on this Site are only available in the United States and may be limited to particular states and subject to restrictions and/or qualifications, as disclosed by the program. Products and Services depicted on this Site are for general illustration only. Products shown are those by Motorcraft®, a registered trademark of Ford Motor Company. Product details and applications may vary from vehicle to vehicle. 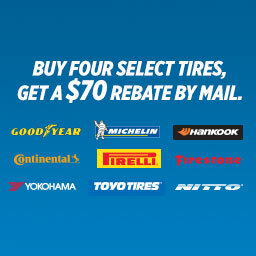 Motorcraft® product or tire availability may be limited. 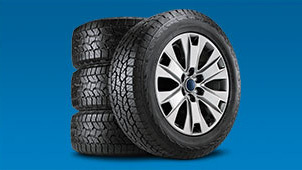 Ford authorizes you to view and download the materials at this Site only for your personal, non-commercial use. Ford may suspend or terminate this authorization at any time for any reason. d. your site may not contain offensive, distasteful, illegal or inappropriate content. This Site is intended as a resource and discussion forum for people interested in Ford Motor Company services. Unfortunately, this isn’t the place to address warranty or customer service questions or concerns or products sold by Ford Motor Company. If you have a question about a Ford Motor Company product, please contact Ford's Customer Relationship Center calling 1 800-392-3673 in the United States or 1 800-565-3673 in Canada during normal business hours. The Ford name, and all trademarks and logos displayed on this Site are owned or used under license by Ford. These trademarks include, but are not limited to, product brand names (e.g., Quick Lane Motorcraft),), slogans (e.g.,Life is Better in the Quick Lane), and logos and emblems. The unauthorized use of any trademark displayed on this Site is strictly prohibited. II. Identification of the copyrighted work you claim to have been infringed, or, if there are multiple copyrighted works, a representative list of such works. III. Identification of the material that you claim to be infringing, and information reasonably sufficient to permit us to locate the material. IV. Information reasonably sufficient to permit us to contact you, such as an address, telephone number, and, if available, an email address. V. A statement that you have a good faith belief that use of the material in the manner complained of is not authorized by you or the law. VI. A statement that the information your notification is accurate. Supported carriers AT&T, Verizon Wireless, Sprint, T-Mobile®, Boost, Alltel, MetroPCS, Cellular One, Dobson and U.S. Cellular pending carrier approval. Message and data rates may apply. Other costs may apply, please consult with your cell phone plan or service provider to verify service costs. All charges are billed by and payable to your mobile service provider. THIS ARBITRATION AGREEMENT MEANS THAT YOU AND WE AGREE TO SUBMIT ANY DISPUTE, AS DESCRIBED BELOW, TO BINDING ARBITRATION RATHER THAN PROCEEDING IN COURT. PLEASE REVIEW THIS ARBITRATION AGREEMENT CAREFULLY. BY ENTERING THIS AGREEMENT, YOU EXPRESSLY ACKNOWLEDGE THAT YOU HAVE READ, UNDERSTAND, AND AGREE TO ALL OF THE TERMS SET FORTH HEREIN. DEFINITIONS FOR THE ARBITRATION PROVISION: “Us” or “We” shall mean Ford, the Seller, their Assignees, and their employees, directors, officers, agents, predecessors, successors, subsidiaries, and affiliates. “You” shall include yourself, any co-purchaser, any member of your household, users or occupants of the vehicle, and/or your successors and beneficiaries. “Party” shall mean either You or Us. AGREEMENT TO ARBITRATE: Arbitration is a method of resolving any claim, dispute, or controversy (regardless of the legal theory or source of law at issue) (collectively, a "Claim") without filing a lawsuit in court. 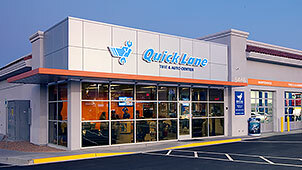 Through your use of Quick Lane, You and We agree that all Claims that in any way relate to, or arise out of, this contract or any related transaction or relationship (including with the dealer) or your purchase, lease, or use of your vehicle or any services offered, sold, or purchased in connection with your vehicle shall be resolved exclusively through final and binding arbitration. Claims regarding the validity, application, scope, enforceability, or interpretation of the Arbitration Provision shall be decided by an arbitrator. However, the validity, application, scope, and enforceability of the waiver of class action rights shall be decided by a court, not by an arbitrator. Each Party may bring Claims against the other only on an individual basis and not as a plaintiff or class member in a class, representative, or private attorney general action. The arbitrator may not preside over any consolidated, representative, class, or private attorney general action involving You and Us. The arbitrator may award relief only in favor of You or Us and only to the extent necessary to provide relief necessitated by the Claims brought by You or Us. RIGHTS YOU AND WE DO NOT GIVE UP: Neither Party waives the right to: 1) file bankruptcy in court; 2) enforce a security interest in the vehicle by repossession or in court; 3) take legal action in court to enforce the arbitrator’s decision; 4) request that a court review whether the arbitrator exceeded its authority; 5) seek remedies in court to protect intellectual property rights (such as its patent, copyright, trademark, trade secret, or moral rights, but not including its privacy or publicity rights); 6) seek remedies in small claims court for Claims within that court’s jurisdiction; 7) seek remedies in court for any Claim in which a physical injury to person or persons (including wrongful death, but excluding mental or psychological injuries unaccompanied by tangible physical injuries) is plausibly alleged so long as the matter advances only on an individual (non-class, non-representative) basis; and 8) seek remedies before any regulatory agency or commission. ADDITIONAL TERMS APPLICABLE TO THE ARBITRATION PROVISION: Unless otherwise agreed, the American Arbitration Association (“AAA”), 1-800-778-7879 (www.adr.org) shall conduct the arbitration. If there is a conflict between AAA’s Rules and this contract, this contract shall govern. This contract is subject to the Federal Arbitration Act (9 U.S.C. § 1 et seq.). The arbitration decision shall be in writing with a supporting opinion. We will pay your total reasonable arbitration filing, administration, service, case management, arbitrator, or hearing fee in excess of $200, unless You agree to pay one half of the total or unless the arbitration rules require otherwise. Each Party shall be responsible for its own attorney, expert and other fees, unless awarded by the arbitrator under applicable law. Any portion of this Arbitration Provision that is unenforceable shall be severed, and the remaining portions shall be enforced. If the waiver of class action rights is deemed unenforceable in connection with a Claim involving class allegations, the entire Arbitration Provision shall be unenforceable. If multiple Claims are asserted in one action and one or more of those Claims would not be subject to arbitration, You and We agree that the Claims that would not be subject to arbitration must be stayed until all Claims that are subject to arbitration have been resolved. You and We also agree that if Claims are asserted against multiple parties, some of whom are not required to arbitrate, the Claims subject to arbitration must be severed. You and We agree that discovery shall be limited and shall not exceed the scope contemplated by the Federal Rules of Civil Procedure with discovery to be cost effective and proportionate. In any arbitration in which You or We contend that recovery, if granted, would exceed $25,000, the arbitrator must apply the Federal Rules of Evidence. You and We agree that the cost of discovery shall be borne by the party requesting the discovery—except that initial and low-cost discovery (i.e., the discovery that can be responded to within the first ten hours of work by the responding party) shall be performed at the cost of the responding party. You and We further agree that in any action involving allegations of personal injuries or wrongful death, the laws of the State of Michigan, excluding its conflicts of law provisions, shall apply, including in relation to the availability and amount of any compensatory damages and the law governing the availability or lack thereof of punitive damages. Notwithstanding any choice of law or other provision, You and We agree and acknowledge that this Arbitration Agreement evidences a transaction involving interstate commerce and that the Federal Arbitration Act, 9 U.S.C. § 1 et seq. (“FAA”), will govern its interpretation and enforcement and proceedings pursuant thereto. It is the intent of the parties that the FAA and AAA Rules shall preempt all state laws to the fullest extent permitted by law. If the FAA is found to not apply to any issue that arises under this Arbitration Agreement or the enforcement thereof, then that issue shall be resolved under the laws of the State of Michigan. You and We agree that this Arbitration Agreement includes any claim arising out of the vehicle use or purchase, including any Claims from a breach of an implied or express warranty, or any other claim regarding vehicle quality, service or repair, including any state-specific warranty protections or so-called “lemon law” statutes. The arbitrator shall be empowered to grant whatever relief would be available in a court under law or in equity (including, where applicable, damages so long as they are based on evidence of actual damages You have sustained). To the extent allowed by law, You and We agree to waive federal or state statutes that purport to restrict parties’ agreements to rely on private arbitration to resolve Claims. In all arbitrations, the arbitrator must give effect to applicable statutes of limitations. You and We further agree that the arbitrator shall determine the warranty period based on the language in the New Vehicle Warranty provided at the time of sale, and based on an understanding that the implied warranty period does not extend beyond the fixed duration of the express warranty period. You and We further agree that the warranty period is not extended or triggered anew by Claims or complaints by You, or repair attempts by Us, or vehicle flaws or defects discovered at any point after the time of sale. You agree not to modify the format or branding of the content provided in THE SERVICE ("Content"), or to add any materials, including any advertisements or other promotional content, to such Content. The Content is owned by us, our affiliates or licensors and is protected by intellectual property laws. Ford grants you a limited, non-exclusive, non-transferable, revocable license to download and use the Content on a designated compatible mobile device, solely for your own personal, non-commercial use. You shall not reproduce, modify, perform, transfer, distribute, sell, create derivative works of or otherwise use or make available the Content or THE SERVICE except as expressly provided for in this Agreement. THE SERVICE is provided "as is" and Ford shall not be held liable for your use of the information, content, or material contained therein. Ford will not be liable for any delays in the receipt of any messages as delivery is subject to effective transmission from your network operator. TO THE FULLEST EXTENT ALLOWED BY LAW, FORD DISCLAIMS ALL WARRANTIES WITH REGARD TO THE SERVICE, INCLUDING WARRANTIES OF MERCHANTABILITY, NON-INFRINGEMENT AND FITNESS FOR A PARTICULAR PURPOSE.